It was such as pleasant experience painting the figs, because the tree smelled so good!!! I painted the figs in the early morning (just after sunrise), while they were still in shadow. 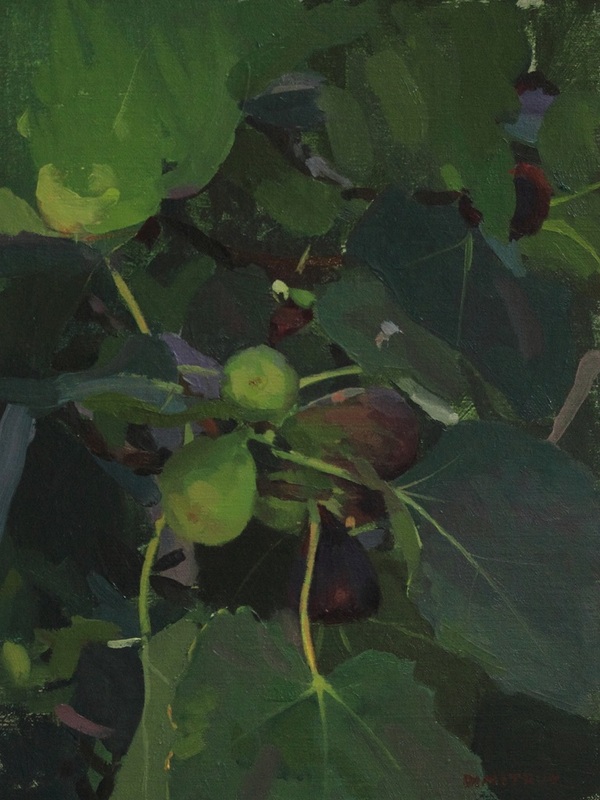 The painting took me several trips to the location, and over time, the green figs turned purple and I was still working away. After completing the first painting, I did another one (in a looser style) of the same fig tree. I worked on the figs using a "sight-size" technique, placing my easel right next to the fruit and stepping back to compare.